Friday night is when the kids and youth clubs operate. There are currently two clubs running. Kids club runs from 6pm-7pm and is for 4-10 year olds (primary school age). It costs 50p per child. 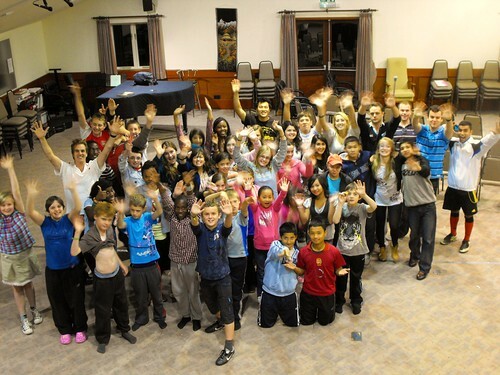 Youth club runs from 7.15 – 8.15 and is for 10-14 year olds. It costs £1 each. We operate a tuck shop at the end of each club. Walks and activities in the woods. Rounders, quick cricket and football. For more information contact Anna Chapman (kids club) on 07853314647 or Dan Towers (youth club) on 07941547386, or complete our contact form.